« Must-read Article on the Sound of Tubes! 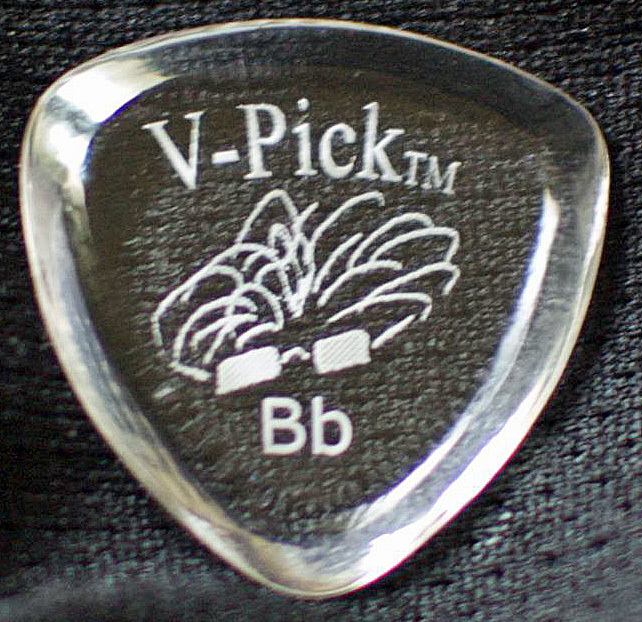 Summary: Nice and thick at 4.10 mm, but this pick glides over the strings!Pros: As with all V-Picks, “smooth” is the key, but with this bevel, you get great note articulation and control! As thick as a Snake, but slightly smaller in diameter, I’m finding I like this pick even better than the Snake! Tone Bone Score: 5.0 ~ I’ve been a Snake user for quite some time, and it has served as my “go-to” pick. But the game has changed with the Bb. Yet another new favorite pick? I do need to clarify that as I’ve reviewed other picks, they haven’t necessarily become my favorites. For instance, I dig Wegen picks. They play great and they really glide over the strings, and for acoustic they’re a dream to play. But for electric, they just don’t feel entirely comfortable. With my Red Bear Tortis picks, I absolutely love them for their tone on both electric and acoustic, but they wear pretty easily and they’re also kind of expensive. 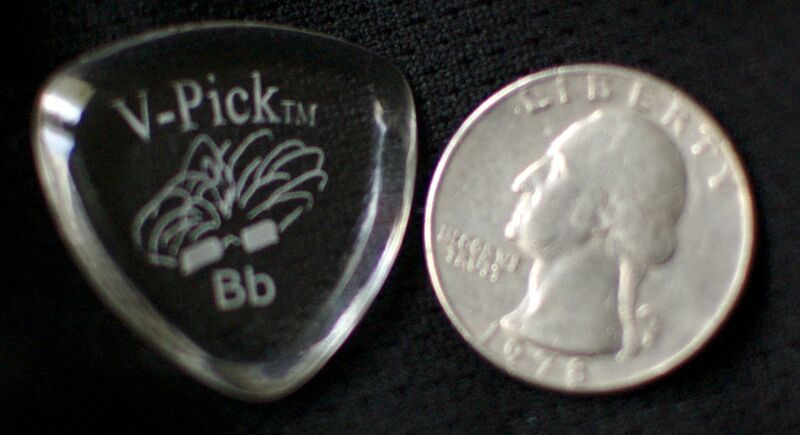 The Bb isn’t cheap at $10, but it’s half the price of both the Wegens and the Red Bears, and more importantly, I it’s a durable pick that I can use with both acoustic and electric. One thing that I didn’t mention about the other picks is that I have used them with both electric and acoustic, but I’ve found that I’ve had to adjust my attack slightly when moving from acoustic to electric and vice-versa. It wasn’t too much of a problem, but with the Bb, I attack the strings the same way, whether I’m playing acoustic or electric. The one thing that struck me, the first time I held the Bb was that it was immediately comfortable – more comfortable than the Snake that I had in my pocket (please don’t read anything into that). 🙂 When I first looked at it in the bag at the shop, I was a bit dubious of its smaller size. But all I had to do was hold it, and I was immediately hooked! The shape is perfect to me: Imagine a quarter with three protruding, rounded points, and that is the Bb. You can see what I mean in the picture to the right. Out of all the thick picks I’ve played – even the Snake – this is the absolutely most comfortable pick I’ve ever played. Another thing that I love about the size of the Bb is that I can easily get pinch harmonics with it. I could achieve them with the Snake, but its overall diameter actually made it quite difficult. Plus, there were a couple of times during gigs where I’d get to a place where I’d like to do a pinch harmonic, and because I had to shift the position of the pick, I’d actually drop it! Not so with the Bb. With its smaller size, I can simply bend my forefinger and thumb a bit more, get to the harmonic, and voila! Pinch harmonic! 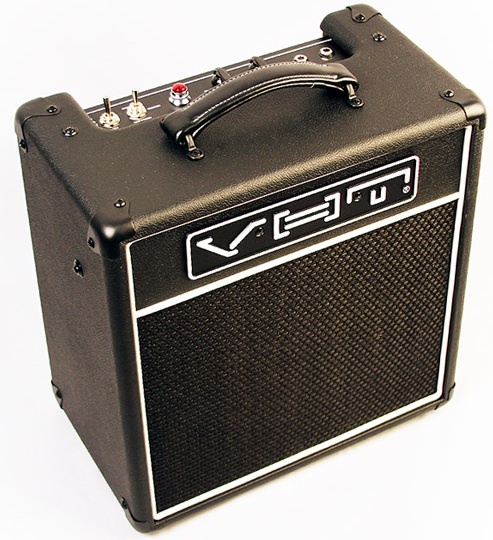 Like the Snake, Vinnie Smith describes the Bb’s tone as producing lots of midrange. But my experience is a bit different. To me, with either pick, the tone you get depends heavily on your attack. With a light attack, the bevel produces a ringing, chimey, tone. Bearing down, the thickness of the pick comes into play, and you can get a super fat tone that has a bright finish due to the bevel. I guess that’s where Vinnie gets the “midrange” from, as the fatness from the thick body and the ring from the bevel balance out. But no matter how you want to describe it, the tone this pick produces is fantastic. Interestingly enough, the guy who recommended the Bb to me was a guy named Jordan who runs the guitar department at Gelb Music in Redwood City, CA who was a total non-believer. I showed him V-Picks ages ago, and he was pretty skeptical at the time. But Vinnie being such a great salesman got a V-Picks case into the shop, and Jordan then had a chance to play them. He is now a convert. Admiring the commitment you put into your blog and detailed information you offer. It’s great to come across a blog every once in a while that isn’t the same unwanted rehashed material. Wonderful read! I’ve saved your site and I’m adding your RSS feeds to my Google account.